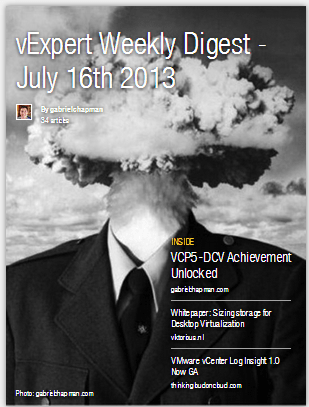 This week in the digest, has a little shameless self promotion, VMware Insight Log Manager, and lots of VDI discussions. Not to mention VMware seems to be in transition as of late. Shakeup news coming out this last week with the sale of Zimbra, and the departure of Bogomil Balkansky. With several high profile team members leaving over the last several months, it certainly looks like Pat Gelsinger is putting his stamp on the organization. In other news, VMunderground should be announced soon so watch for tickets, there will also be a second release for CXI Party tickets for VMworld this year as well. Christopher throws a hell of a party.